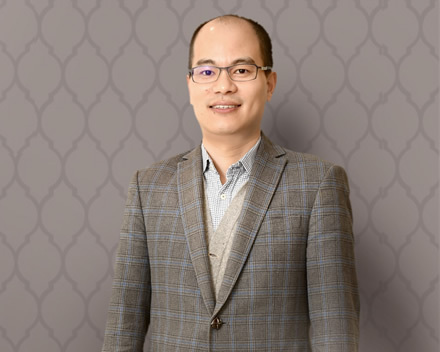 Patrick C. M. Wong holds the Stanley Ho Chair in Cognitive Neuroscience, is Professor of Linguistics and Professor of Otolaryngology (by courtesy), and serves as the Founding Director of the Brain and Mind Institute at The Chinese University of Hong Kong. Prior to joining CUHK in 2013, he was a tenured faculty at Northwestern University where he had begun his faculty career a decade before. After undergraduate and graduate training in linguistics and cognitive psychology at the University of Texas at Austin, Wong completed a postdoctoral fellowship in neuroscience at the University of Chicago Medical School in 2003. During the same period, he also received clinical training in speech-language pathology and is licensed to practice in the State of Illinois. He is admitted to full (registered/certified) membership of the Hong Kong Institute of Speech Therapists and the American Speech-Language-Hearing Association. A versatile and effective teacher, research mentor, and clinical educator, Wong is a two-time recipient of the Faculty Outstanding Teaching Award at CUHK. As a cognitive neuroscientist, linguist, and speech-language pathologist, Wong’s research covers a wide range of basic and translational issues concerning the neural basis and disorders of language and music. His work on language learning attempts to explain the sources of individual differences by focusing on the neural and neurogenetic markers of learning. His work on the association between language and music provides evidence for the neurophysiological mechanisms behind such an association at the auditory brainstem. In what is now considered traditional phonetics, Wong’s research addresses phonetic constancy and representation, as well as phonetic learning. For over a decade, his research team has been funded continuously by the National Institutes of Health in the US, with current funding from both US and Hong Kong sources. He has also served on funding agency review panels in Hong Kong and the US, including the Research Grants Council (RGC) (Hong Kong), the NIH, and the US Department of Veteran Affairs. His research has appeared in a broad array of interdisciplinary scholarly venues covering both neuroscience and language works including journals such as Nature Neuroscience, Proceedings of the National Academy of Sciences of the USA, Journal of Neuroscience, Neuroscience & Biobehavioral Reviews, and Journal of Speech, Language, and Hearing Research. He was awarded the Independent Scientist Award and the Humanities and Social Sciences Prestigious Fellowship by the NIH and RGC, respectively. Wong’s research has also received public attention from media outlets such as The New York Times and The Wall Street Journal, and the British Broadcasting Corporation/Public Radio International.